Registration of accounts for people under the age of 20 or over 75 and those living outside of Japan is suspended at the moment. 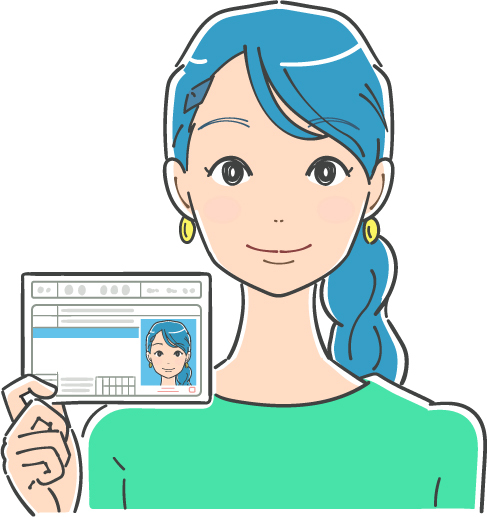 Coincheck conducts identity verification by recipient of postcard based on "Act on Prevention of Transfer of Criminal Proceeds." Coincheck will verify your identity by reviewing one or more of the following documents. Once approved, a postcard will be sent to the registered address for address verification. For domestic (Japan) users, once the postcard has arrived, the account will be automatically unlocked to all the services. In case of International (outside Japan) users, a postcard with a code will be sent, which needs to be input here to unlock all the services. Registration/modification of your information is possible from the following. *For ID other than the passport, please submit the backside of the ID card. Please submit a selfie of you holding your ID/passport. *Please submit the same document as above. Please submit all the following documents. ※ Note: For users who have a coporate account, we will be sending postcards to the company's address and transaction representative's address each. Once your documents have been reviewed, an approval email will be sent to you from our identity verification team. After that, a postcard will be sent to your registered address. If you do not receieve a postcard, please contact us from the inquiry form. Please note that the arrival of the postcard might be delayed depending on regions and postal circumstances of your residence. Please understand that there are chances that you will not be able to use all the services as soon as your receive the postcard (domestic users ONLY). Once all the services are available for your account, an automated email will be sent to you.